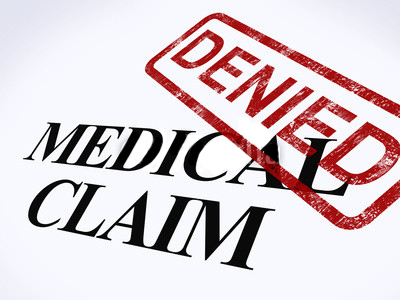 There are many possible reasons for physical therapy and medical claims denial. Using physical therapy billing software, claim denials can be minimized, allowing you to improve cash flow and grow your practice. Every physical therapy billing precaution can be taken and extensive documentation provided, but at some point, physical therapists will experience a denial for payment. Claims are denied for any number of reasons, from incorrect physical therapy billing coding and services that aren’t covered to medications that were prescribed. Patients may have exhausted a lifetime benefit cap on services or received what’s deemed as an experimental treatment by their insurance carrier. Navigating the labyrinth of rules and regulations of physical therapy billing each payer maintains can be extremely confusing, but it can also severely affect the profitability of a practice. In an effort to cut costs, many insurance providers are requiring preauthorization for treatments and procedures that were never questioned in the past. Each insurer has their own appeal process, complete with deadlines and specific types of documentation that’s required. One of the advantages of an EMR is being able to verify a patient’s insurance coverage long before they come to the office. The availability of time stamping provides documentation of when the treatment was received, who did the therapy, why a particular treatment was used and the patient’s response. Physical therapy billing software also provides information about the referring physician and the client’s past history, which can play a critical part in contesting a denial. 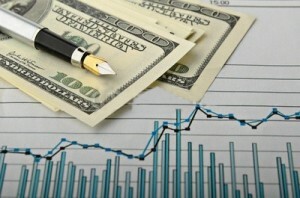 Those who have implemented physical therapy billing software have an advantage. Therapists utilizing an EMR receive information and updates about denied claims in hours or days instead of weeks. The same software system allows therapists to quickly submit required documentation, explanations or correct coding errors. EMRs offer billing and coding options and flexibility that actually reduces the number of denials. Claims for reimbursement go through a rigorous physical therapy billing documentation process before payers approve or deny a claim. In some instances, a particular procedure may be used to treat more than one type of complaint and the payer will automatically deny a request for reimbursement unless the therapist can prove it was medically necessary. Therapists must be prepared with appropriate physical therapy billing documentation if they’re to receive reimbursement and provide the patient with needed care. An insurer may also question a curative treatment versus a palliative one. One of the great mysteries in healthcare is why one insurer is willing to pay for months or even years of palliative treatment without a “cure,” while others are more likely to approve curative remedies. Once treatment has commenced, physical therapy billing insurers expect the therapist to continue, even if a denial has been issued. These expectations raise serious questions about reimbursement for the practice owner. Therapists can continue to submit claims for the patient during the time the request is being contested, but ultimately, there’s no guarantee that they will be paid. Physical therapy billing software offers clear and concise documentation to help therapists reduce and minimize reimbursement denials, and contest them when they occur. While denials can arise for a number of reasons, most can be traced to errors in the manner the claim was submitted or the coding used. EMRs are a therapist’s best friend, offering extensive documentation, time stamping and copious amounts of information, all of which can be submitted electronically to quickly and efficiently address reimbursement denials.